ROAD TOWN, Tortola, VI - A Broward County, Florida, USA Cardiologist died on December 20, 2018, after he fell from his yacht while vacationing here in the Virgin Islands (VI) and despite valiant efforts for the body to be released to his family, they are forced to wait until 2019. 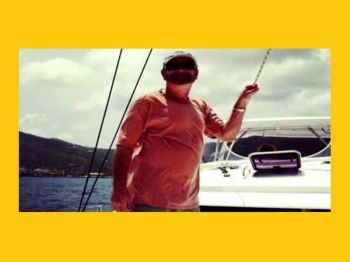 The doctor has been identified as Joseph Hogan, 65, and according to a US Local 10 News report, his son Jason Hogan said he was in the territory to check on his boat—which was damaged during the 2017 hurricanes—when the incident occurred. Giving an account of what is believed to have occurred the son told Local 10 News, "He took the boat out, and apparently he was headed to another part of the islands. Then a few hours later, someone passing by saw his boat just circling in the water, and they obviously knew something was wrong." 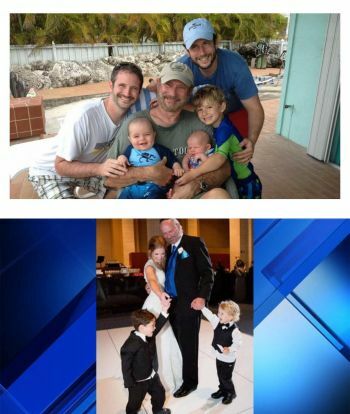 According to Local 10 news, "The family said [they are] having difficulty bringing his body back home for a proper burial." Following news of the death, the family's grief is now being prolonged because of VI laws prohibiting the release of the body without an autopsy. And with no resident mortician in the territory at the moment, the autopsy cannot be done until the New Year. "As if my father's death wasn't enough and tragic, we assumed that they would do the autopsy and his body would be returned to us in a few days,” the son said. “We learned that because of certain British Virgin Island laws and because of the holidays, as of right now, it stands that nothing will be done with him until January 3rd, when the medical examiner is back from vacation," his son told the news outlet. The family claimed to have made several offers including paying for the mortician’s tickets so they can have the body at an early date, but all offers received no positive response to date. Jason said the family has been in contact with the Governor's office, the U.S. Embassy and other officials, but no one has been able to expedite the process. 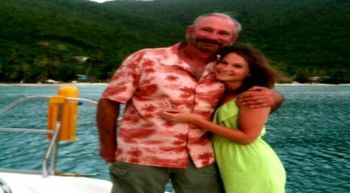 "We can't rest knowing that our father is in a cooler somewhere on an island… he's not even with us," Mr Horgan said. The son called the situation a ‘nightmare’ and said the family was shocked by his father's sudden death. "I still think my dad is going to come walk through the door, call me or text me later. It's just absolutely horrible," Jason said. The family is however begging for assistance to have the process expedited before 2019. Joseph Horgan is survived by his wife Tobi Horgan; his children, grandchildren as well as other relatives. Fell of yacht my a**,you’ll wouldn’t investigate... an you’ll feel is a accident!! Mr. Hogan please accept our sincere sympathy. You have to be mindful that we have laws to be abided by. If a local dies at their home suddenly, there family have to go through the same process. Please show some respect, the only place you’re fathers body could be on our island is at OUR main Peebles Hospital. Please extend our sincere sympathy. Let me offer my condolences to the Hogan's family from the BVI, and we share in the mourning of your love one. Unfortunately the BVI do have it own laws and whether you like the process or procedures that comes with such a tragedy you must be mindful that as a State, we have to do what must be done. Reporting your grief to your local stations won't make the situation expedite. In times like these you need to exercise patience and let the process runs its course. An autopsy MUST be done and if there are no resident Pathologist, you will just have to wait until one arrives in the BVI. It is as simple as that. The BVI is a developing island, not a first world country like the USA just in case you thought otherwise. Thanks. What's the rush about.the rvipf has a policy.all sudden death must be treated as a homicide,until the physical evidence,including an autopsy proves otherwise. Son,hogan has no authority to demand the release of his father's body.. Accept our condolences BUT what's the rush. Is it your traditions to bury within certain days? ...SORRY, we don't RUSH things around the BVI ESPECIALLY in a case like this. How would our authorities really know what happened out there? AGAIN, SORRY, 2019 sounds long but it is actually next week. Dear Son, I am so sorry to hear of your father's death, and while I know you don't want to wait... trust me, we have tons of experience with cases like this. We know the very likely possibility of fraudulent behavior in cases such as this. Quite often in the past cases like this turned out to be homicides. Please let us investigate and do a proper autopsy. No one is above the law. I am not in any stretch of the imagination suggesting wrong doing on your part or any one's part for the death of your Dad, but please ... let us have a look. this is the procedure down in the islands and unfortunately we can ill afford to have more then one pathologist. the one we currently have is on vacation. he'll be back very soon.